For many of us, the words "medieval glass" are synonymous with the extraordinary %%stained glass%% windows that transform the interiors of so many European churches of the late Middle Ages. 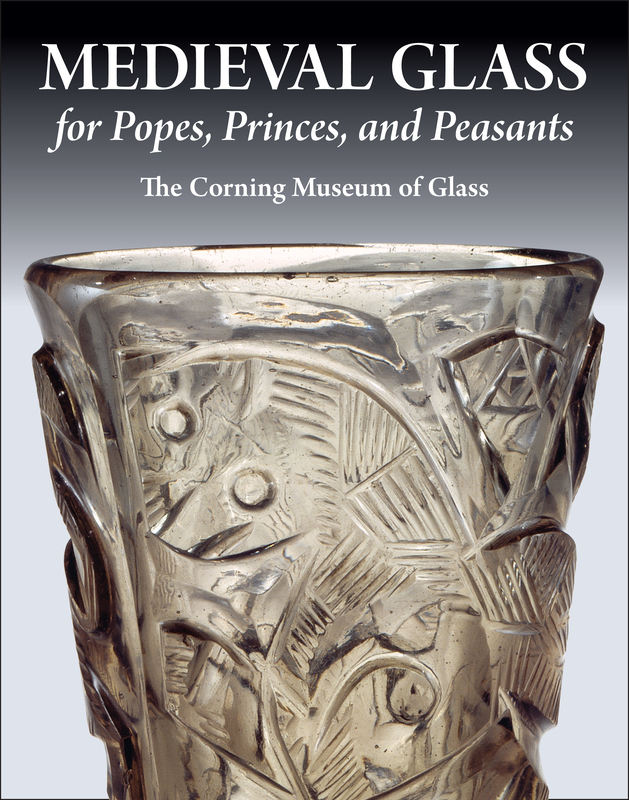 This exhibition catalog for Medieval Glass for Popes, Princes, and Peasants, has a different focus. It is a selective introduction to medieval glass vessels, made in the course of more than 1,000 years, that were intended for use and display: for eating and drinking, lighting, worship, science, and medicine. The book examines the history of medieval glass vessels, explores how some of them were made. The book includes chapters on the chemistry and technological advances of medieval glass, as well as a catalog of the 124 objects in the exhibition, which came from the collection of The Corning Museum of Glass, as well as individuals and museums in the United States and Europe.